Superdome Premium Polytunnel brings greenhouse technology to your own yard and garden. Now you can plant earlier in the spring and harvest later in the fall. 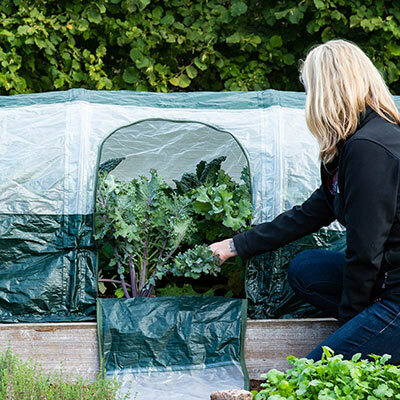 It offers protection and a large growing space with more height than most other tunnels can offer, so there's plenty of room for taller crops like kale and broccoli. The roof has built-in shading material, so plants don't overheat on sunny days. Fast and easy set up requires no construction. 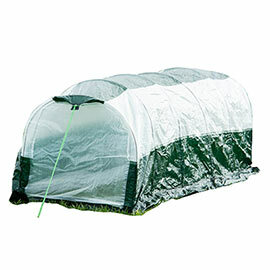 There's easy access for watering and ventilation with two zippered openings. Plus, eyelets are ultrasonically welded for tear-proof use. For each offer ordered, get 9.8ft x 2.3ft x 2.6ft polytunnel.